Eating out while traveling is definitely one of the things I love the most when I'm visiting a new city. After all, I've often said that you get to know a city trough its food, trough its markets, and little hole in the wall places serving authentic dishes. Eating out while traveling is definitely one of the things I love the most when I’m visiting a new city. After all, I’ve often said that you get to know a city trough its food, trough its markets, and little hole in the wall places serving authentic dishes. 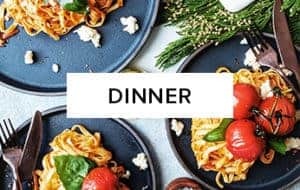 Simple meals are the foundation of my kitchen. 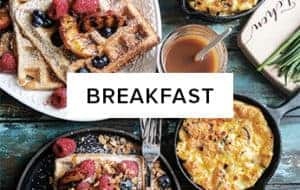 Frittatas are on the list as one of those dishes you could have for brunch, lunch or dinner. One pan salmon with roasted sweet potatoes is another favourite. 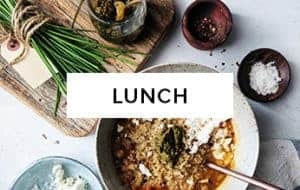 As for lunch, I believe you can have a healthy meal that takes no time to make without having necessarily to use leftovers. 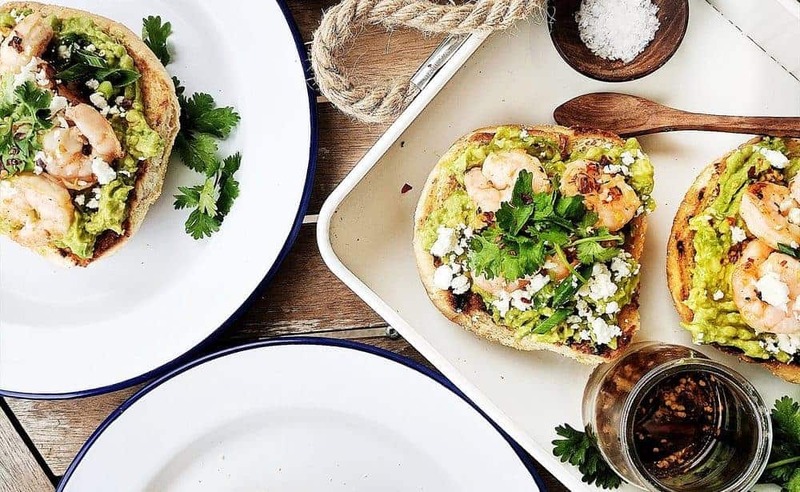 Toasts and tartines have been on repeat at our home lately. A few weeks ago, a multigrain sprouted toast topped with homemade hummus, grilled halloumi and avocado was my choice after crossfit. Not only does it have my go to ingredients, but has the right amount of healthy fats, complex carbs and protein. Things that I keep always in mind when planning a dish. Plus doesn’t homemade hummus makes everything better? 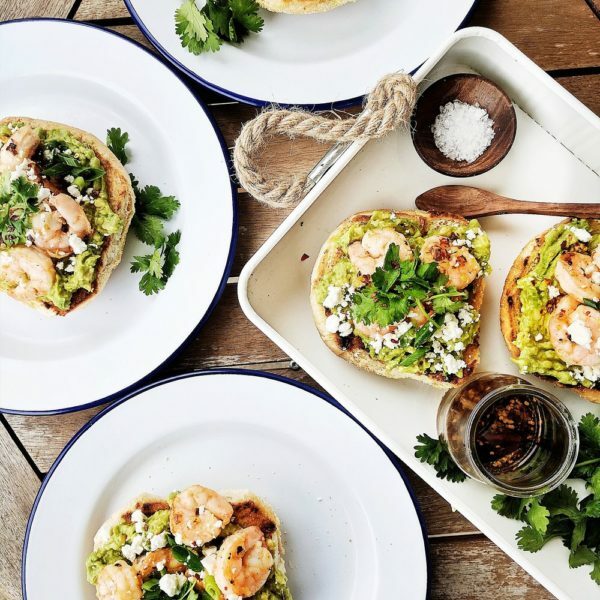 Recently I made avocado toast with roasted shrimp, a lunch that I will be making for days to come. How not to love avocados though? I grew up eating them in salads, as a side dish with tons of lemon and olive oil, and on baguettes with tomatoes and red onions. In defence of the ever popular avocado toast, I don’t think it’s a millennial food as it’s been called lately. Let’s just agree that avocado has been king for a long time now. It’s what you need to have to top your fish tacos, the essential ingredient in all the lunch bowls I make, and what makes these toasts shine. 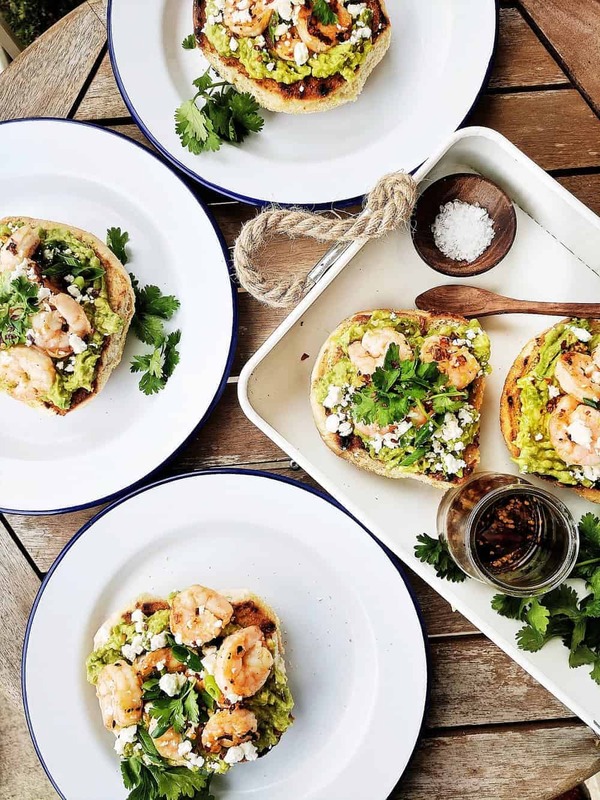 In this recipe, avocados gets seasoned with sea salt, pepper, onions and olive oil, topping a soft and buttery bun. 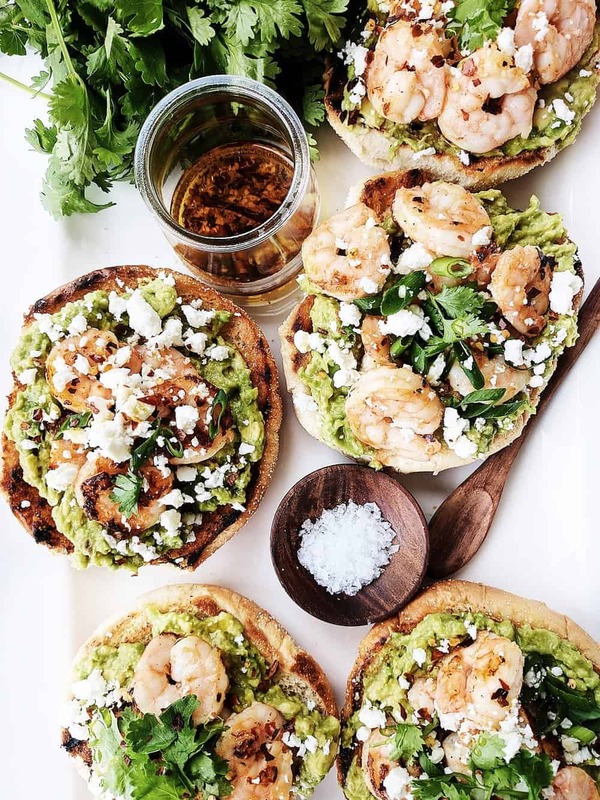 Adding roasted shrimp, salty feta and cilantro will make it a lunch to remember. One that you’ll be making over and over again. Peel shrimp, and place in a bowl with 2 tbsp olive oil, minced garlic, juice of 1 lime plus salt and pepper to taste. Let marinate for 15 minutes. In the meantime, slice avocados and mash them in a medium bowl, with 1 tbsp of olive oil, onion, salt and pepper to taste and set aside. 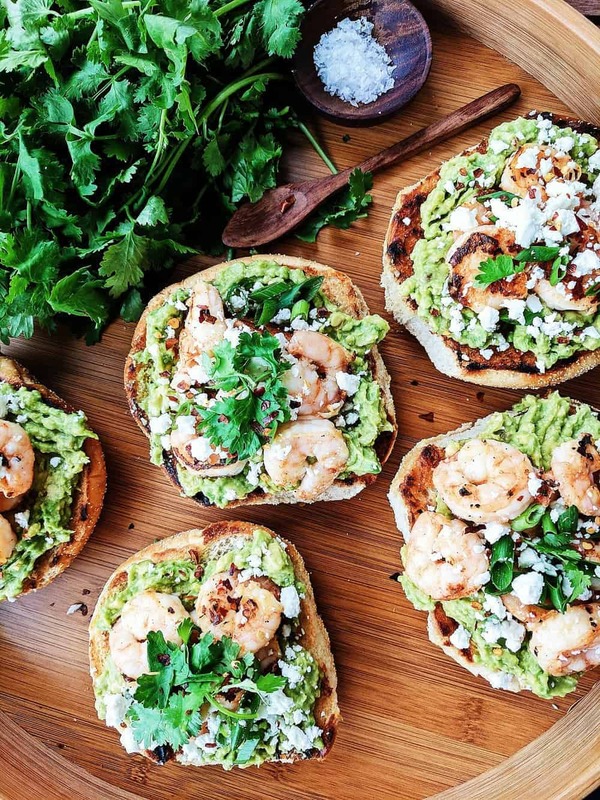 Grill shrimp, and once ready, warm each bun,(alternatively, it can be sautéed) top each side of Crustini buns with some avocado, shrimp, feta cheese, chili flakes, green onions and cilantro. Finish the dish by drizzling some chili oil on top. 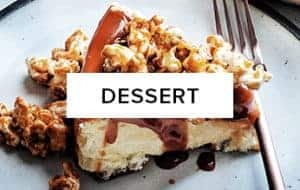 This post was created in collaboration with 150 buns of summer, however all views, opinions and recipe development are my own.